The calendar may not say spring, but the spirit of spring is in the air. 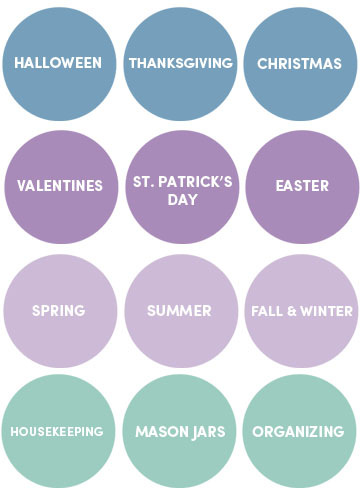 These Pretty Spring Decor Projects will brighten up your home and set the stage for the season. 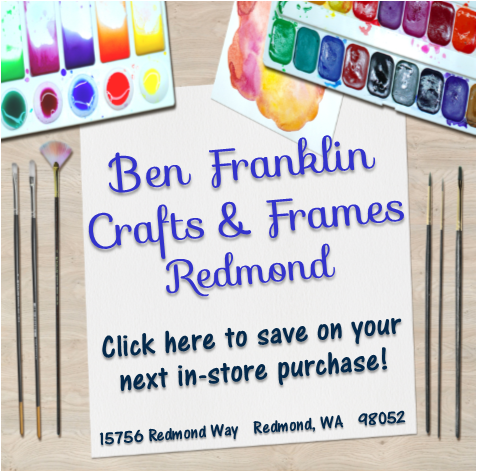 All craft products available at Ben Franklin Crafts and Frames in Redmond. 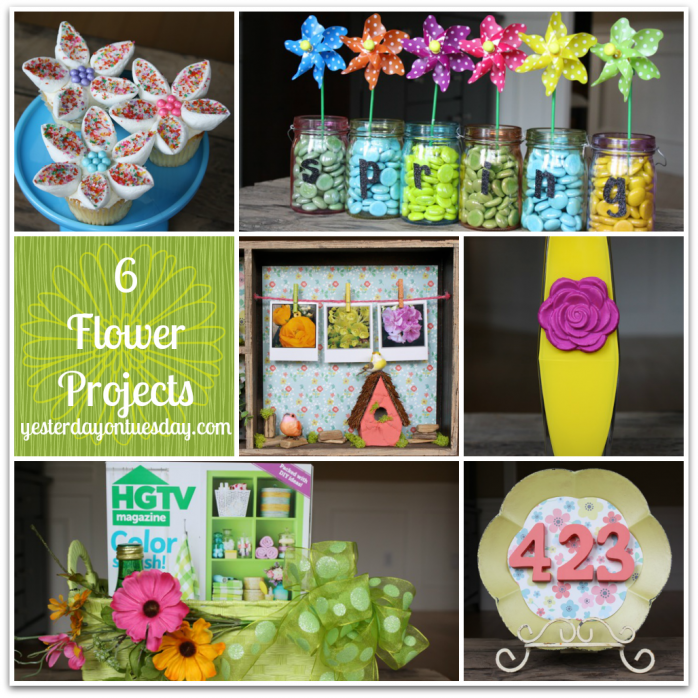 Dress up your home with these vibrant blooms– that never need watering! 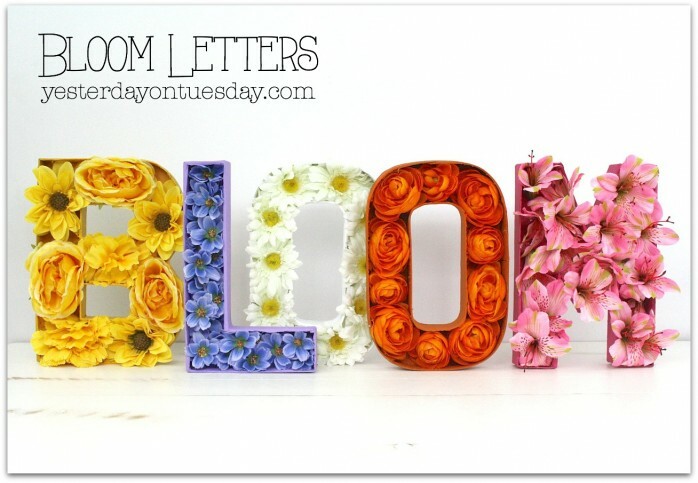 Supplies: cardboard letters (BLOOM), five different types of faux flowers, five shades of acrylic paint that coordinate with the flowers, a craft knife and hot glue. 1. Using a craft knife, remove the top of each letter. 2. 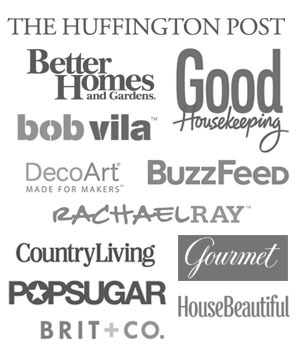 With acrylic paint, paint each letter a bright color. 3. Snip the faux flowers from their stems. Hot glue the flowers inside of the letters. 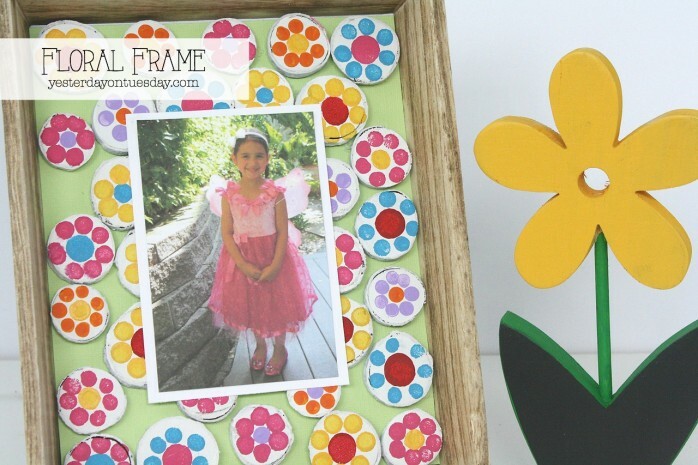 This Floral Frame would make a great project for kids. Supplies: Frame, wooden disks (approximately 35), white acrylic paint, brightly colored acrylic paint (pink, turquoise, yellow, orange, lavender and red), card stock and craft glue. To make the flowers, use foam daubers and/or pencil erasers. 1. Paint the wooden disks white and set them aside. 2. Cut a piece of card stock to fit inside the frame and glue on. 3. Make flowers with daubers and or pencil erasers. 4. Glue disks to card stock. 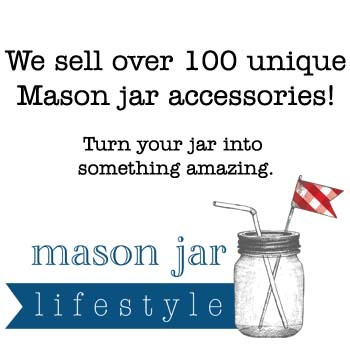 Light up your home with the easy to assemble Mason Jar Lamp. 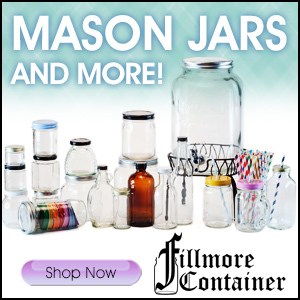 Supplies: Quart sized mason jar, faux butterflies, jar filler, lamp kit, light bulb and wire lamp shade. 1. 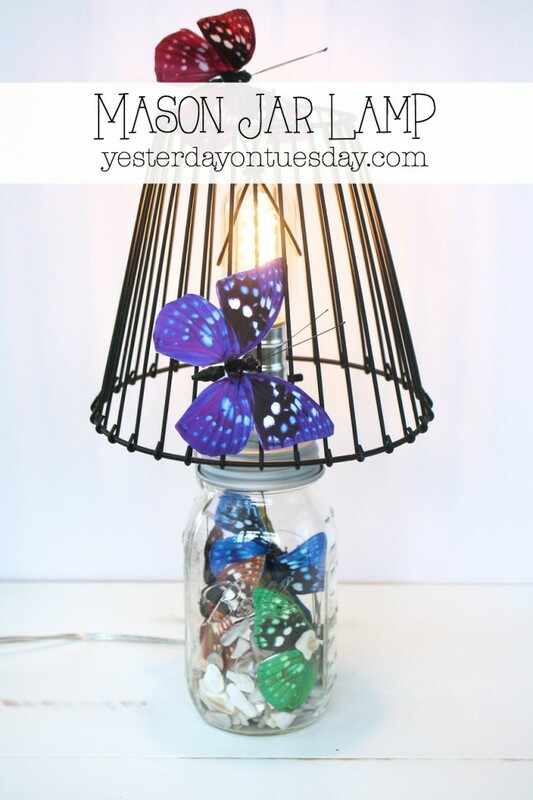 Add the jar filler and butterflies to jar. 2. Following package directions on light bulb, add to lid. 3. Place butterflies on the lamp shade. 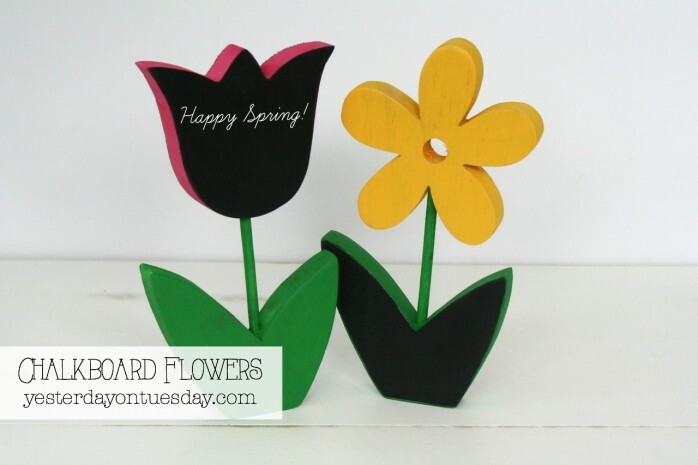 Personalize these happy wooden spring flowers with your own messages. 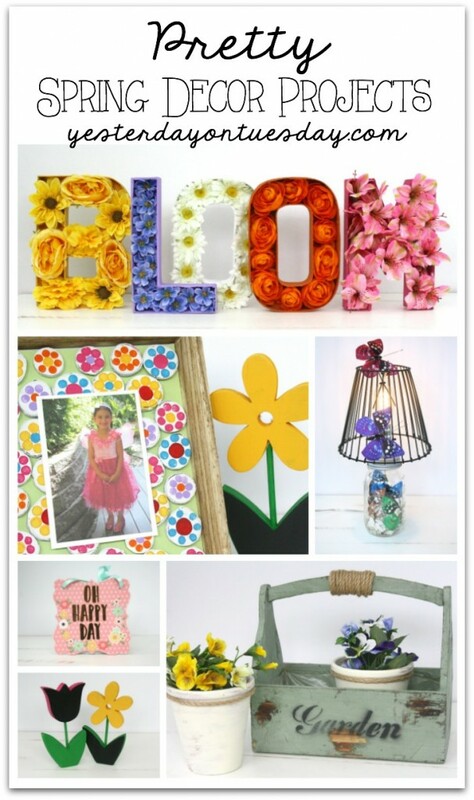 Supplies: wood flowers, chalkboard paint, green acrylic paint, yellow acrylic paint, pink acrylic paint. 1. Paint the front of the tulip with chalkboard paint. 2. Paint the sides of tulip pink. 3. Paint the stem and leaves green. 1. Paint the front of the leaves with chalkboard paint. 2. Paint the sides of the leaves and the stem green. 3. Paint the flower yellow. 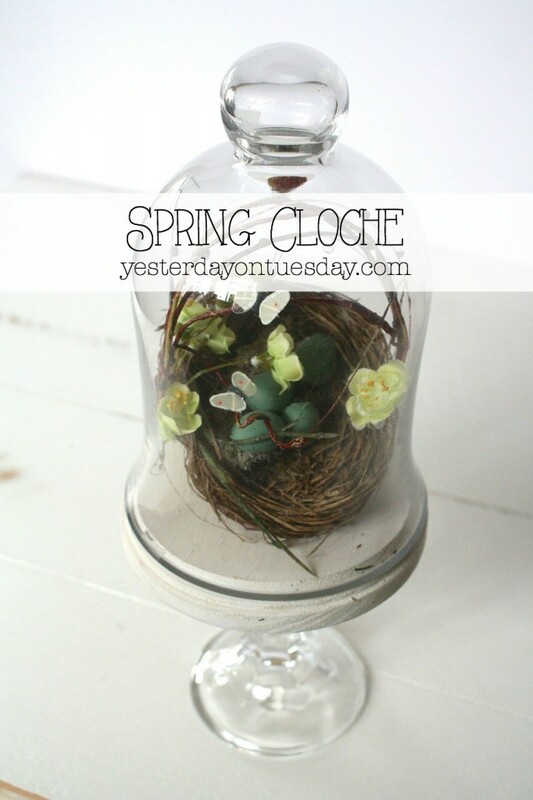 A Spring Cloche adds a dash of the lovely season to your home. Supplies: Glass cloche, glass candlestick holder, wooden disk, acrylic paint, a nest, small flowers, small eggs, small butterflies, wrapped wire and E-6000 glue. 1. Paint the disk and set aside. 2. Arrange eggs, flowers and butterflies (using wire) in nest. Place nest in cloche. 3. Glue cloche to disk. 4. Glue candlestick holder to disk. Every day will be a happy day with this cute sign! Supplies: wooden plaque, polka dot scrapbook paper, letter stickers, flower stickers, pink acrylic paint, blue ribbon, glue and sandpaper or a nail file. 2. Glue paper on plaque. 3. 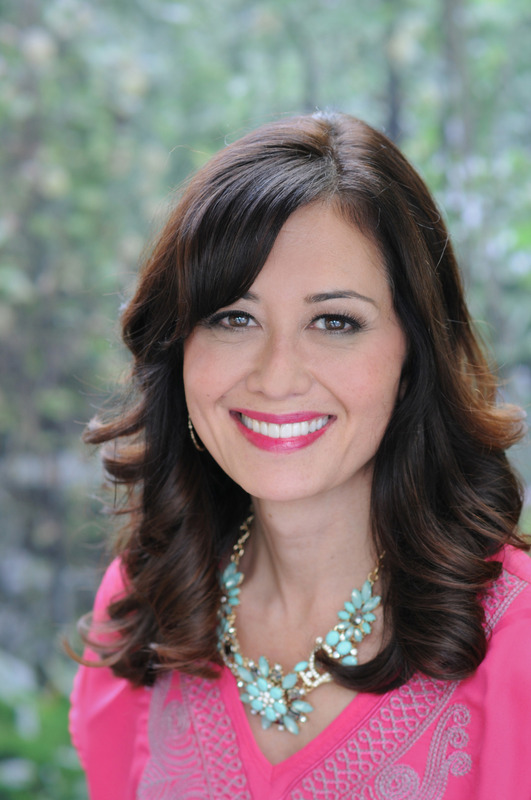 Use sandpaper or a nail file to remove excess paper. 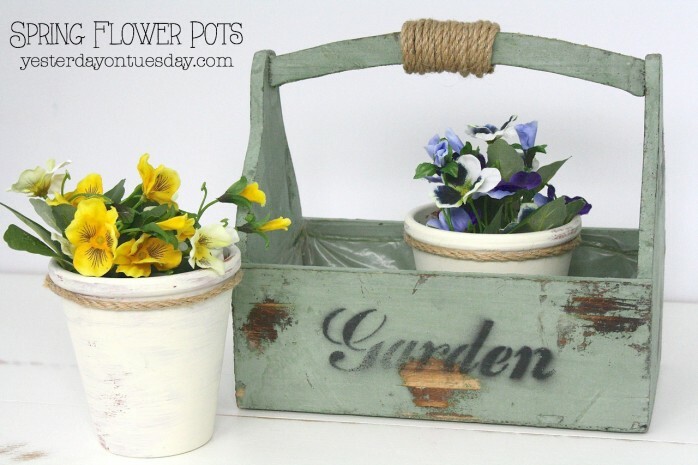 Beautify some plain flower pots and make a charming garden caddy. Supplies: garden caddy, twine, two small flower pots, cream colored acrylic paint, faux flowers and hot glue. 1. Lightly paint flower pots. 2. Wrap twine around the handle of the caddy and secure with glue. 2. Cut twine for the top of the flower pots and glue. 3. Add faux flowers to pots. 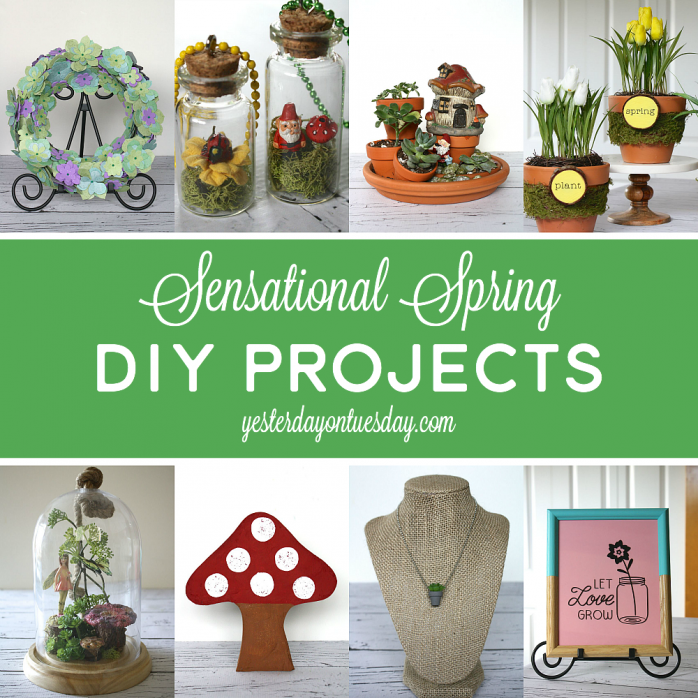 These are great projects to help brighten your home up for spring/summer. I love them, thanks for sharing!